I was a medical mess. I had 20 surgeries and died twice. Several of my children did not survive, so survival was defining my life. No coincidence with that background that it led me to a highly successful corporate career in risk management and disaster recovery. However, my life and career were, in fact, killing me; but I have no tolerance for victimhood and am not a fan of living with regret. My philosophy is acknowledging it, breakthrough, and keep moving. So I needed to rethink my path. When I was a kid I wanted to be an artist or scientist. Feng Shui lets me do both. I started practicing 30 years ago because I wanted to truly live. Now, as a Feng Shui Master, I help others do the same. Whether it is a cell in our body, our surroundings, the building we live or work in, or the geography … a healthy environment supports its hosts; an unhealthy environment doesn’t. We copyrighted a phrase that sums it all up. Manage your environment consciously, or unconsciously it manages you.© To simplify that, manage your energy or it manages you. I utilize a dozen sciences to evaluate influences such as electromagnetic currents, geopathic stress, energy imbalance, and other factors internal and external to one’s living or work space. I’m an international consultant, speaker, author, educator, and seasoned program manager. I regularly appear on TV and radio, and in print. How may I help you experience a better quality of life? Listen — To be heard, we must first listen. Listening is the greatest gift we can give to each other (nature, buildings, human, or animal). Be responsible — We are responsible and accountable for our environments and experiences: Our offices, homes, bodies, health, cars, schools, hospitals, websites, thoughts, deeds, actions… everything. Not happy with something? Change the energy! No victims allowed — Acknowledge what needs to be acknowledged then create breakthroughs. Do what’s right, versus what’s convenient — Serve with humility and generosity. No judgments — Honor others for who they are versus what they do. Be the light — Be the change you want in the world. Spread love and light. 1988-2003 consulted on largest single-occupancy building next to the Pentagon; New York terrorist attack, several hurricanes, and more. Vice president at Bank One over information technology business continuity, and on their emergency response team. Set up and worked Y2K command center. American Assn. of Physicians of Indian Origin; ABC; Asian Culture Festival; Baby the Planet Expo; Best of Fall Home Show; CBS; Chinese Culture Symposium; Chinese Culture Connection; Columbus Art Institute; Central OH Home & Garden Show; Columbus Business Women’s Connection; DamesBond; FOX; Global Women’s Summit, Interior Design Society; International Feng Shui Conference; International Natural Foods & Health Expo; NBC; NPR, Ohio/National Education Assn. ; National Assn. Remodeling Industry; Ohio Society of CPAs; Ohio State University; Otterbein College; Positive Alternative Therapies in Healthcare; Voice of America, Women of Freedom, and World View Radio. Books: The Change (Book 9); Gratitude Book Project – Best of Pets; Gratitude Book Project – A Celebration of Hero’s; Tailgate/Outdoor Cookbook; 8 Simple Steps for a More Balanced You; and featured in ABEC’s Small Business Review’s Top Stories 2010. Feng Shui blogger for The Women’s Book. Also in The Asian Leader; Business First; By Region Network; City Scene Magazine; Columbus Dispatch; Columbus Monthly; Columbus Wedding Shopper, Design Journal; Disney’s Family.com; Dream Weaver; Examiner.com; Feng Shui News; From House to Home; Infinity; Natural Awakenings Healthy Living Magazine; Luxury Living Magazine; New Life Magazine; Ohio Chinese American News; The Plain Dealer; Positive Alternative Therapies in Healthcare; Renovations Magazine; Suburban News; and Your New Home Magazine. 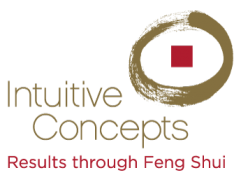 Don’t delay, Feng Shui today!© Contact us for a free telephone consultation and estimate.